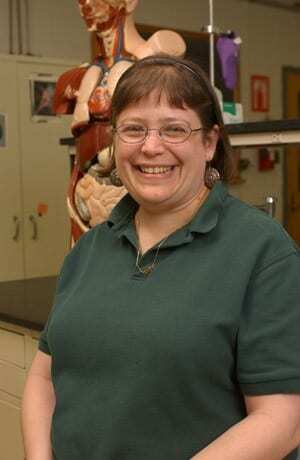 University of Wisconsin, Ph.D. in Genetics, Madison, WI, 1999. Dissertation Title: Analysis of WVD2, a Locus Involved in Radial Expansion and Root Waving in Arabidopsis thaliana. University of Michigan, Residential College, B.S. with Honors, Biology and Judaic Studies, Ann Arbor, MI, 1991. Mentoring in Biology 1 and 2. Rebecca S. Pearlman, Richard. E. McCarty and Richard Shingles. In-class voting provides information beyond immediate measurement of student understanding. Journal of Microbiology & Biology Education, May 2011, 12: 107 – 108. Grace A. Maldarelli, Erica M. Hartmann, Patrick J. Cummings, Robert D. Horner, Kristina. M. Obom, Richard Shingles, and Rebecca S. Pearlman. Virtual Lab Demonstrations Improve Students’ Mastery of Basic Biology Laboratory Techniques. Journal of Microbiology & Biology Education, May 2009, 10: 51-56. Sandra G. Porter, Joseph Day, Richard E. McCarty, Allen Shearn, Richard Shingles, Linnea Fletcher, Stephanie Murphy, and Rebecca Pearlman: Exploring DNA Structure with Cn3D. CBE Life Sci Educ 6(1): 65-73, Spring 2007. Steven C. Cunningham, Brad McNear, Rebecca S. Pearlman, and Scott E. Kern: Beverage-Agarose Gel Electrophoresis: An Inquiry-based Laboratory Exercise with Virtual Adaptation. CBE Life Sci Educ 5(3): 281-286, Fall 2006. Douglas M. Fambrough,Rebecca Pearlman, Richard Shingles, and Rae Brosnan: Points of View: A Survey of Survey Courses: Are They Effective? : A Case for Survey Courses in Biology. Cell Biol Educ 2005 4: 131-133. Sandra Porter, Linnea Fletcher, Stephanie Tatem Murphy, Rebecca Pearlman, Jeannette Staheli, and Elaine Johnson. Teaching Undergraduate Biology with Bioinformatics. Biomedical Information Science and Technology Initiative (BISTI) Symposium: Digital Biology: The Emerging Paradigm, National Institutes of Health, November 2003. Christian Y.L. Yuen1, Rebecca S. Pearlman1, Laura Silo-Suh, Pierre Hilson, Kathleen L. Carroll, and Patrick H. Masson. WVD2 and WDL1 Modulate Helical Organ Growth and Anisotropic Cell Expansion in Arabidopsis (2003). Plant Physiology, 131: 493-506. Rebecca Pearlman, “Probability”, in Genetics, Richard Robinson, ed., Macmillan Reference USA, Farmington Hills, MI, December 2002. Peter Evans, Terry Kurzynski, Marge Hamacher, Tim Monson, Rebecca Pearlman, Laura Povinelli, Pete Shult. Wisconsin Emerging Infections Project (WEIP): Surveillance for Agents of Emerging Infectious Disease and Bioterrorism. International Conference of Emerging Infectious Disease, Atlanta, GA, July 2000. John Sedbrook, Kanokporn Boonsirichai, Rujin Chen, Pierre Hilson, Rebecca Pearlman, Elizabeth Rosen, Robert Rutherford, Ann Batiza, Kathleen Carroll, Tara Schulz and Patrick Masson. Molecular Genetics of Root Gravitropism and Waving in Arabidopsis thaliana (1998). Gravitational and Space Biology Bulletin 11: 71-78. Rebecca Pearlman, Laura Silo-Suh, Pierre Hilson and Patrick Masson. Characterization of an Arabidopsis thaliana mutant developing dampened root waves on tilted agar plates. 9th International Conference on Arabidopsis Research, Madison, WI, June 1998.